Bright and early on Saturday morning , with the bikes loaded into the “Free Candy” van Kenny and I made our way to the Port Jeff ferry. 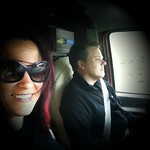 We were meeting up with F’n Hal and F’n Jacqui and heading to the Prospect Pines campground in Granville, Massachusetts. Sunday would mark the 2011 Big Berkshire Adventure dual sport ride. But before then, we had a whole Saturday worth of hanging out to do. 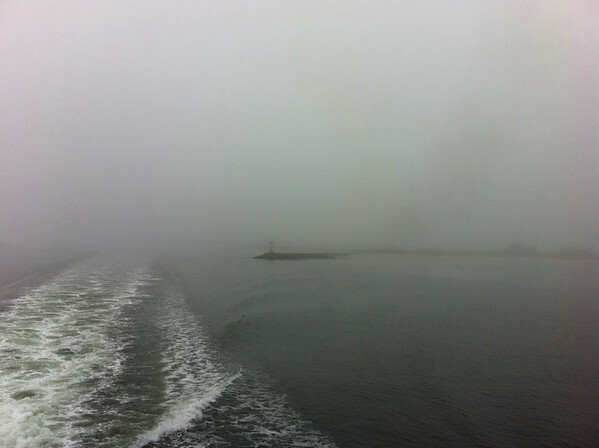 We stood on the deck of the boat and I watched the land fade away. Seeing as how “the rapture” was supposed to happen on Saturday, sailing away into the fog to get to “the other side” was kind of funny. But… probably only to me. We shadowed the F’n RV heading up route 8 to the campground. 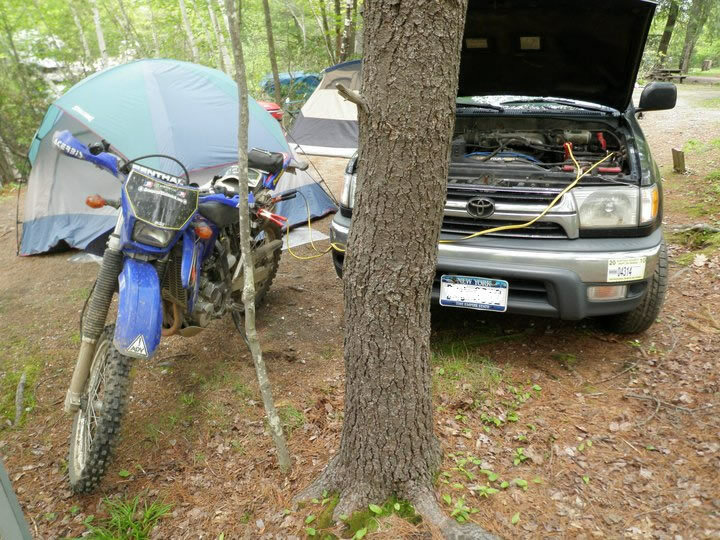 When we arrived, GL and Nef were already there, had already eaten bacon, had already been out riding and already discovered that GL’s battery wasn’t holding a charge. This would prove to be a little bit of a problem later on in the evening. 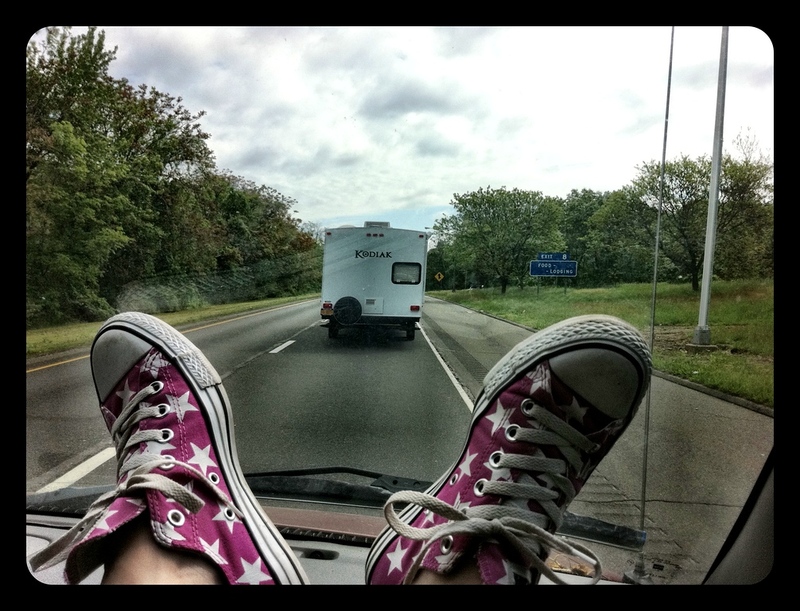 The F’n family set up their swanky RV which became homebase for our motley little crew. 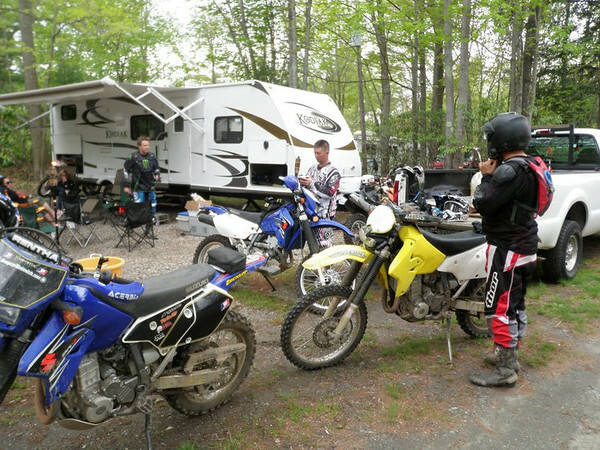 In so many ways, hanging out at the campground before a ride is as much fun as the riding itself. Each person in our little universe bring something hilarious to the table. There is no shortage of laughter when we all get together. Some of the guys went out and did a little pre-ride riding while the rest of us, sat around drinking beer and NOT getting soaked by the flash rainstorm that popped up. By the time they returned, GL’s battery had bitten the dust. 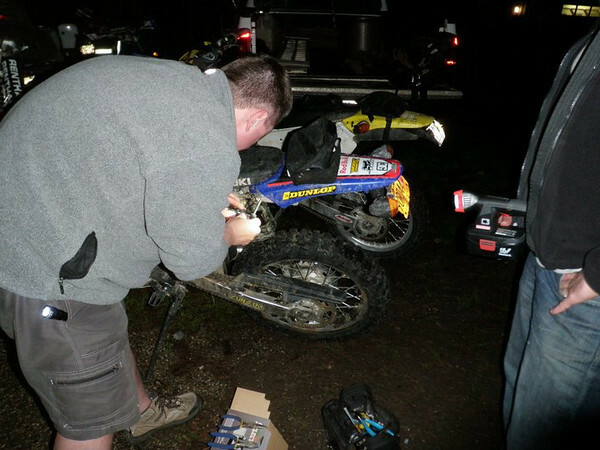 It was early evening on a Saturday and he would have to try to track down a battery for his DRZ. All told he was gone searching for a battery for a good two hours. We were getting a little worried that he might strike out. That would’ve been a huge disappointment not only for him but to the rest of us as well. Luckily Tractor Supply came to the rescue. With the crisis averted we could get back to the business at hand: eating BBQ’d foods, drinking beer and talking crap. Does life get any better? The anticipation of going on a ride is almost unbearable during the work week. It is such a relief to wakeup and head out isn’t it? Also not to mention the relief I felt when my bike finally was running again!! Great post Fuzz I agree everyone brings something to the table in the group it was a blast. I found myself laughing and having great conversation all night.